San Antonio, TX (March 22, 2019) – On March 21, around 2:55 p.m., San Antonio Fire Department responded to a reported dog attack in the 7800 block of Braun Circle. Fire officers reported to the scene of the incident after receiving a call that a woman’s own dog was attacking her. Fire officials and paramedics responded to the call and tried to catch the dog. While trying to catch the dog, it turned and attacked by the paramedic and the firefighter. The two officials, as well as the dog’s owner, were all transported to a nearby hospital for treatment to their injuries. 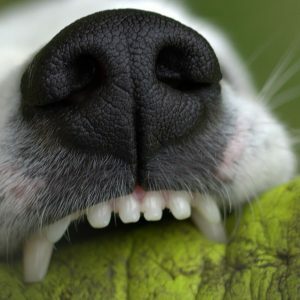 Each year, over 800,000 Americans seek medical treatment for dog bite injuries. Unfortunately, the number of victims injured in Texas leads well above every other state in the country. Dog bite injuries are often debilitating. Victims suffer extensive scarring, permanent impairment in some cases, and overwhelming medical expenses related to the treatment of injuries. The severity of dog bites is often escalated in cases involving children and elderly individuals. Fortunately, Texas courts enable victims to file personal injury lawsuits to obtain compensation and justice from dog owners. By contacting a Texas personal injury attorney from the Benton Law Firm, you can rest assured knowing your legal rights are protected while you focus on your recovery. Our Texas accident lawyers have extensive experience helping accident victims across the state hold wrongdoers accountable for their actions, and we are dedicated to helping you do the same. Contact our law firm at (214) 219-4878 to schedule a free case evaluation as soon as possible to explore the legal options available for you.